Alumni band Kopecky closes the show at Battle of the Belmont Bands: 125th Anniversary Edition Aug. 29. 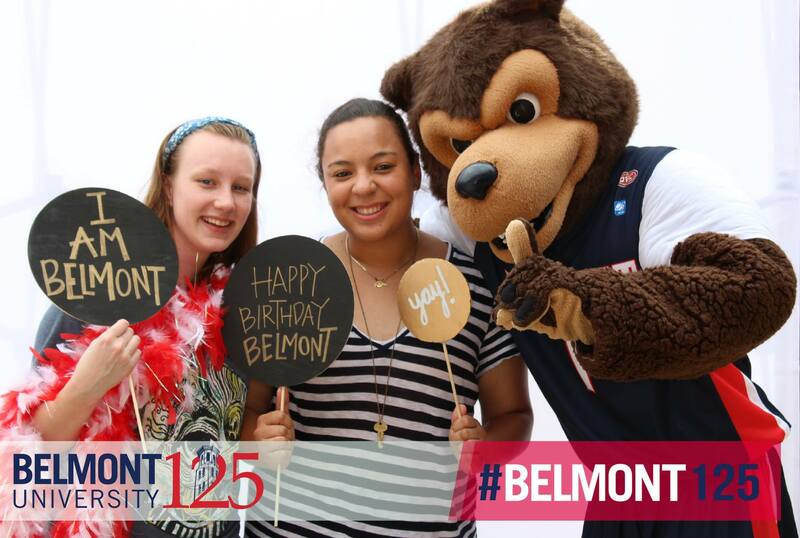 Belmont kicked off the celebration of its 125th Anniversary in perfect Belmont style, with a packed out chapel service Friday followed Saturday by an on campus music festival attracting more than 3,000 campus and community members over the course of the day. But, the University is just getting started on what will be a year-long birthday party to mark its 1890 founding. Honoring Belmont’s mission to educate and empower students from diverse backgrounds to engage and transform the world, significant anniversary events will include a book release, a week focused on diversity, 125 consecutive hours of community service in Nashville and a special “Christmas at Belmont” performance, among other activities. In addition, members of the Belmont community past and present participated recently in three days of recording with oral history nonprofit StoryCorps, and those audio segments will be shared widely throughout the celebration year. Tuesdays at 1:25 PM: Professor of Music and University Carillonneur Dr. Richard Shadinger, who has taught at Belmont since 1974, will play a well-known Belmont song (the alma mater, University hymn or fight song) on the Bell Tower’s 43 carillon bells weekly on Tuesdays at 1:25 p.m. as part of the celebration festivities. October 26-30: Belmont’s Welcome Home team will host several events that reflect on the University’s past while also emphasizing goals to reflect the broader community. The University’s first African-American graduate, now a retired University president, is scheduled to speak, and the week will include a student-led spoken word event, a film showing, interactive art project and lectures. November 9-13: A hallmark of a Belmont education is the commitment to serve, so in celebration of the anniversary, Belmont students, faculty and staff will join together in an epic undertaking to serve the University’s hometown of Nashville for 125 consecutive hours. Additional details—including dates, time and sites—will be announced later this fall. December 2015: The annual “Christmas at Belmont” performance takes on extra significance during the 125th Anniversary year and will air nationally on PBS in late December. An announcement of this year’s host will be made later this week. 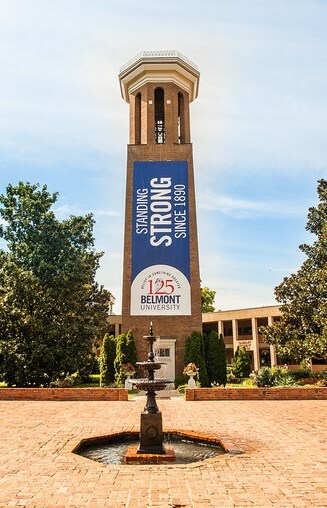 To view a brief video overview of the University’s history, click here, and to keep up with additional news and events regarding the 125th celebration, visit the Belmont125 website, which will be updated frequently with additional event details and stories of the University’s past and present. 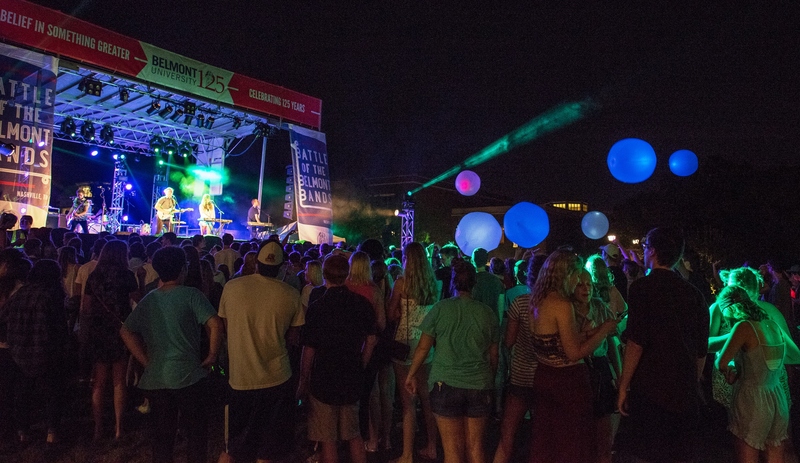 Visit the Belmont Photo Gallery on SmugMug to view photos from the Aug. 29 Battle of the Belmont Bands: 125th Anniversary Edition music festival.